AKQA teamed up with NIKE to develop a full-sized LED basketball court for the NIKE RISE basketball tour that took place across china. the court utilised motion-tracking and reactive LED visualization to train and challenge the players through authentic drills based on kobe bryant’s own training. Kobe Bryant Le Bron James trained with 30 players from across China on the court in shanghai during the mentor phase of the RISE tour – which offered young Chinese basketball players the chance to compete at the NIKE world basketball festival in Barcelona. 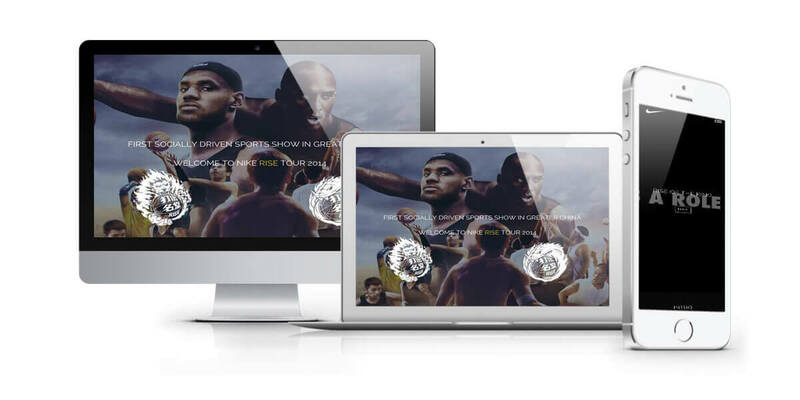 3-Degrees were tasked with building the internal, online presentation website which was visible to Nike staff across the global.